Everyone talks about perfect models and where your eyes should be over the ball and so on – but there is room for some difference takes, in my opinion. 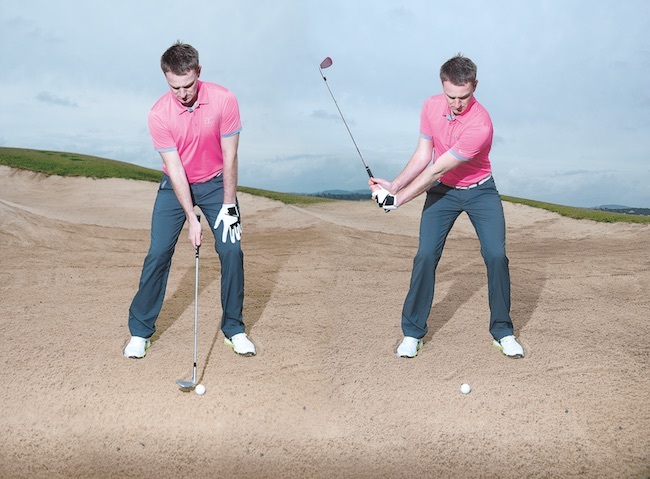 If you look on tour, you’ll see a lot of different positions. Generally speaking, most guys have their eyes over the ball or just inside it, or their eyes over the ball and slightly behind it. People tend not to have their eyes in front of the ball or beyond the ball. On the practice green, line the balls up. If you get set up and see the balls on a straight line, then your eyes are in a pretty good position. 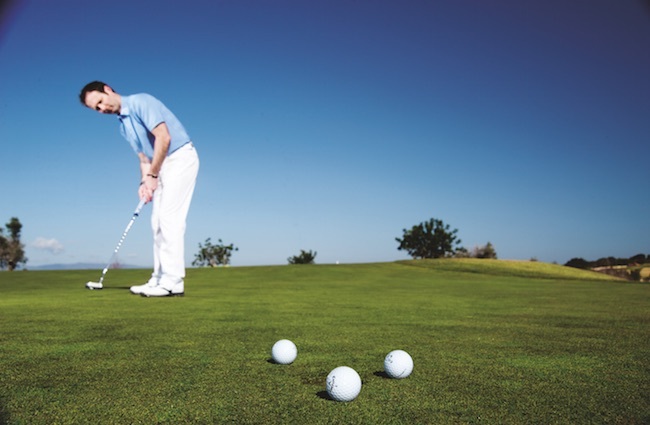 If you set up and are too far away, or too close, your face is tilted too far up or too far down, you might see the line of balls in a curve. If that’s the case, your set-up with the putter is not helping you. That means when you’re over the ball you are not seeing what ‘straight’ is. So, to fix it, it’s just a question of just adjusting your set-up until you see the balls going in a straight line. People get too fixated with things being ‘perfect’ at set-up. As long as it matches and is functional, then it’s good. If someone I’m teaching is struggling, this is something I’ll look at. The design of your putter will also influence how you set up. 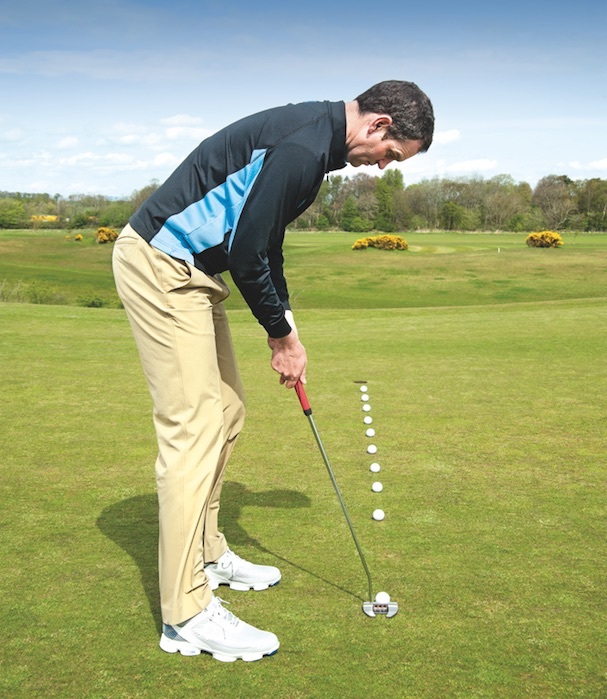 Paul Hurrion, the putting coach who has worked with Padraig Harrington amongst others, does a lot of this. He was actually one of the first I saw implement this, and there are guys in the States that do it. It’s a great way to understand your set-up. This is why some people putt better with a different length of putter. It doesn’t really matter whether you’re slightly open or closed, because if you can control your start line and your speed, all you need to do is read the green. 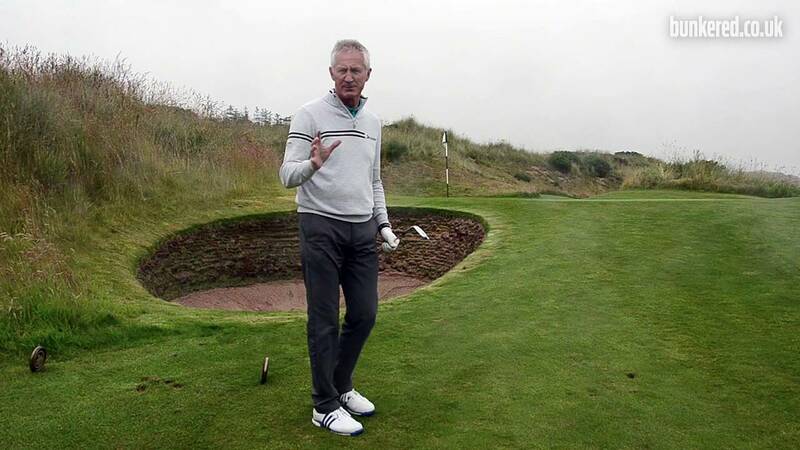 David Patrick is the PGA Professional at Kingsfield Golf Centre. For lessons, call David on 07773 427233. Originally published on bunkered on November 8, 2016.